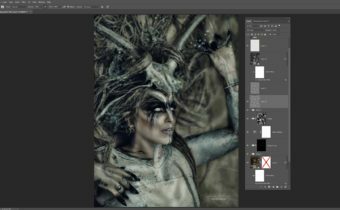 Follow along in this Photoshop tutorial as Caroline Julia Moore creates this dramatic image of a menacing, demonic character from a model, a background, and an image of a skull. Lighting was painted behind the model, and shading details added. Lookup Tables were added for colour grading and a cinematic look. She then adds a dispersion effect, followed by a few finishing touches. These images were created by Shift Art members, based on Disperse Your Demons by Caroline Julia Moore. Join Shift Art to show your version! Superb tutorial! Fantastic result. I have also learned moore how to paint and use light and shadow. Very good description of Particleshop, which I have difficulty with. Thank you very much! Fabulous image and excellent tutorial! I learned a few new tricks, thank you! 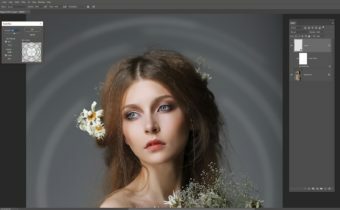 Just a question about the Camera Raw filter – is that only available for PS CC? 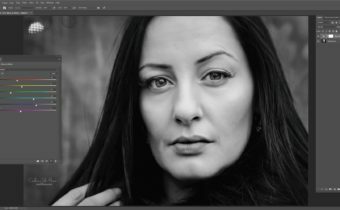 I have PS CS6 and don’t see an option to use that filter (to go into CR from inside PS). Thanks Caroline! Thanks so much Caroline! Lots of new goodies to try out. An excellent piece of art!!! Thanks so much, indeed! Absolutely astounding work and really useful descriptive elements for us to try. Thank you Caroline. This was an amazing tutorial! And a fantastic piece. Stimulates you to learn more even if it sounds overwhelming at times. Halloween is coming up and this is right along the lines of what I am looking to have my students do. Thanks for sharing the tutorial and video. Your finished image is great.